This guest blog post is by Shiv Agarwal, CEO, Arkin, a Software-Defined Data Center Operations Company. We thank Arkin for being a sponsor. Are you confident that the security controls you’ve implemented in your data center actually create the outcomes you intended? To address these limitations, vendors have enabled new approaches that allow for dynamic and granular application-level security regardless of network settings and the location of the machine. This is clearly a more flexible and superior model. However, it has several moving parts and is very dynamic, leading to several real-world operational challenges for IT teams. Here’s why. 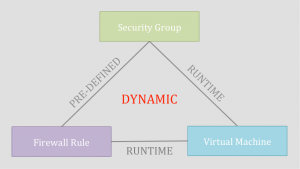 In the new model, an organization defines security groups that have a hierarchy and can be static or dynamic. These groups can be based on network addresses, application tiers, security tags, compliance zones and so on. A virtual or physical machine gets assigned to one or more of these security groups. The assignment is based on the machine’s properties and the security group definitions. 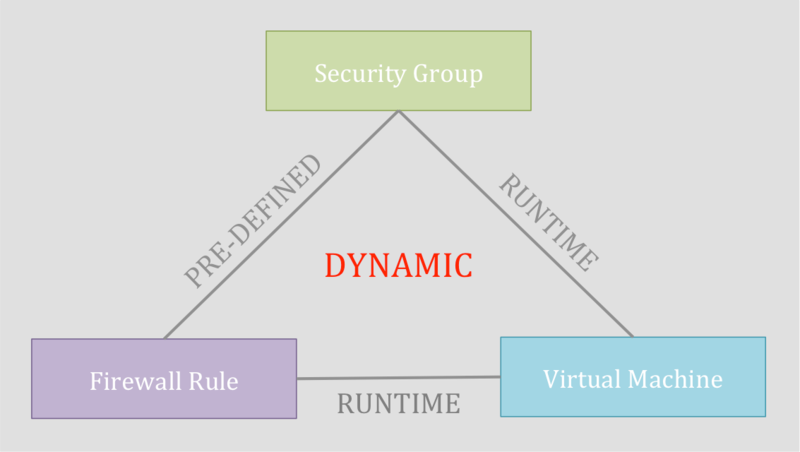 At runtime, the relationships between security groups, firewall rules, and machine are translated and processed to determine who inherits what rules, who can talk to whom, and which flows are allowed. Predictability: A machine may not get assigned to any security group or might get assigned to an incorrect security group, which can get masked due to the complex hierarchy of security groups and relationships. Accuracy: An application might inherit some unwanted firewall rules and security policies because it’s part of multiple security groups or the definition of a security group is very broad. Or a higher-level rule can mask or shadow a rule lower in the hierarchy, thereby changing the effective policy for the machine. Consistency: The management plane (policy point) and data plane (enforcement point) could go out of sync or the runtime mapping and behavior could drift with time as the environment evolves. Effectively, the runtime security posture of an application is now very different from the original intent! This is a huge security risk. Unwanted communication and flows can show up in data centers. Two machines can start talking to each other when they are not supposed to. An unsecured network communication might start with the outside world. In the Assured Security Model, the security you configured is the security you get at runtime. Analytics play a key role. 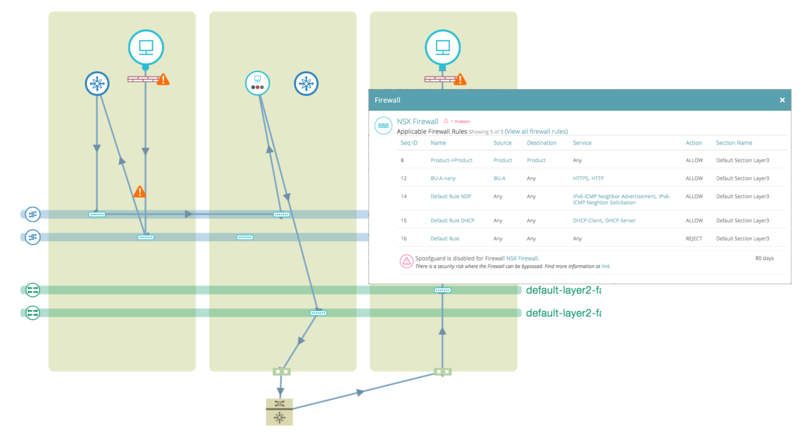 Using real-time data from management, control, and data planes, the analytics layer continuously measures, reports, and corrects any inconsistent or inaccurate security state between security groups, virtual machines, and firewall rules. This can easily extend into the public cloud, enforcing a consistent security posture in hybrid cloud setting. Continuous visibility of how security groups and their firewall rules are evolving and changing: Arkin tracks and analyzes how a security group and its member machines are communicating with each other, in real time, taking into account the parent child hierarchies and M:N relationship between machines and security groups. Any deviation from the desired compliance state is instantly alerted on. Effective security posture of an application: Arkin computes and provides a true and complete picture of the effective firewall rules and security state between the different tiers of an application, irrespective of their location (private or public cloud). As VMs can belong to multiple security groups, which in turn can be hierarchical, getting this picture is critical, albeit very challenging. Proactive alerting on inconsistent and non-compliant state: Arkin platform is built on a datacenter semantics aware search engine. 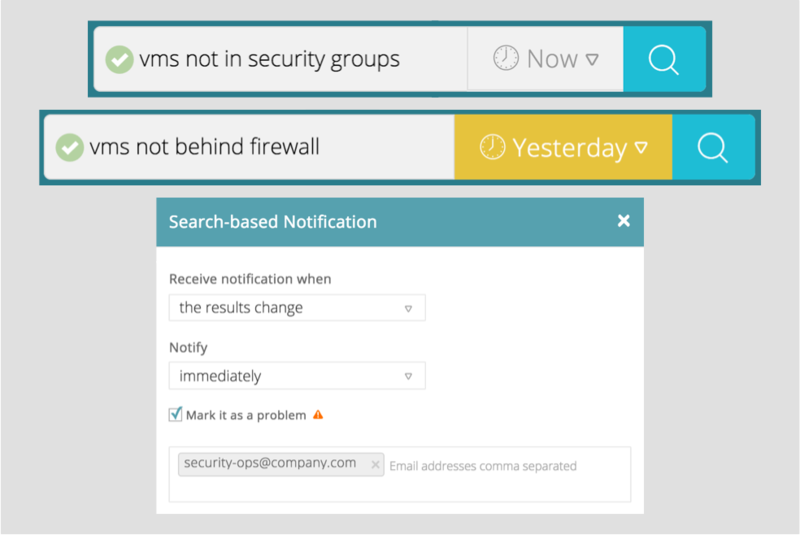 Users can compose searches using plain English and convert them to instant alerts. Tying the notification back to the orchestration layers can provide instant mitigation and proactive prevention of inconsistent and undesired security state. This is just a glimpse of how Arkin can enable an Assured Security paradigm in organizations. For a full understanding of the Arkin platform, you can test drive the platform for free at http://www.arkin.net/try-arkin. Implementing micro-segmentation is half the equation; it’s the right architecture for the digital and cloud era. Putting the right operational model in place to ensure consistent and assured security is the other half. Security is inherently complex. 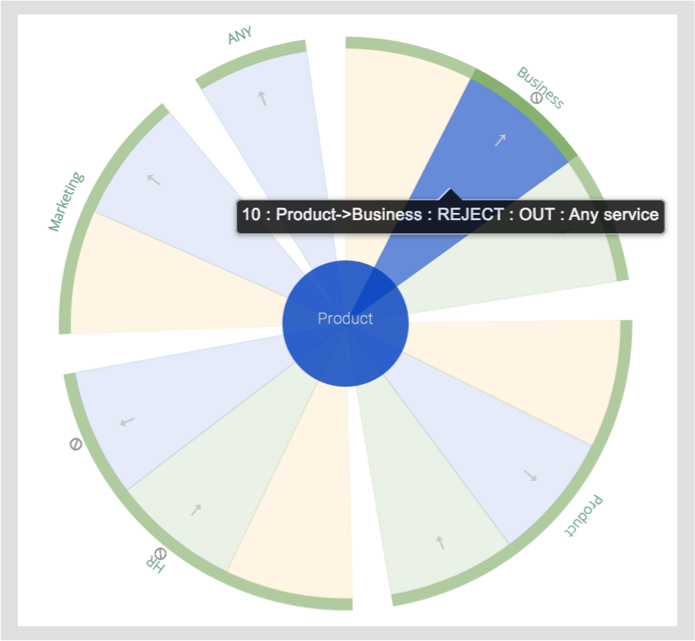 Making a change to an existing, well-baked model is even more challenging. Organizations need to take a comprehensive approach that combines the right infrastructure with the right operations. You can learn more about the Arkin Platform by visiting http://www.arkin.net/video.